sNews (EN) Archive - IASA e.V. REDMOND, WA and VANCOUVER, B.C. – March 26, 2019 – magniX, the company powering the electric aviation revolution, and Harbour Air, North America’s largest seaplane airline, today announced a partnership to transform Harbour Air seaplanes into an all-electric commercial fleet powered by the magni500, a 750 horsepower (HP) all-electric motor. The aviation industry currently contributes 12 percent of all U.S. carbon emissions and 4.9 percent globally, all while providing few low-cost, fuel-efficient options for passenger flights under 1,000 miles. By modifying existing Harbour Air planes with innovative, all-electric magniX propulsion systems, the partnership will create the world’s first completely electric commercial seaplane fleet. A Harbour Air ePlane will have zero reliance on fossil fuels and produce zero emissions – a significant step forward in the innovation and advancement of the airline industry. The first aircraft to be converted will be the DHC-2 de Havilland Beaver, a six-passenger commercial aircraft used across Harbour Air’s route network. Harbour Air and magniX expect to conduct first flight tests of the all-electric aircraft in late 2019. This partnership follows significant milestones for both companies, including the successful testing of magniX’s 350 HP all-electric motor and the addition of a Vancouver to Seattle route in Harbour Air’s destination roster. In a global first for the airline industry, and a defining moment for the sustainability of the planet, wet-lease carrier Hi Fly is poised to make the first-ever jet-age passenger flight with not a single-use plastic item on board. The ‘plastics-free’ trial, involving four flights by Hi Fly’s wide-body Airbus A340, 9H-SUN, will jet into the history books for the first time on December 26th, when it takes off from Lisbon on its way to Natal in Brazil. Commenting ahead of the take-off, Hi Fly President Paulo Mirpuri said: “This historic Hi Fly flight, without any single-use plastic items on board, underlines our commitment to making Hi Fly the world’s first ‘plastics-free’ airline within 12 months. Also speaking prior to the flight, he added: “We are obviously excited and delighted that Hi Fly will be the first airline to attempt such a feat. “Our corporate mission is based around sustainability and we work hand in glove with the Mirpuri Foundation to make sure that our corporate practices match our wider responsibilities to the planet. “The test flights will prevent around 350 KG of single-use, virtually indestructible plastics from poisoning our environment. “Over 100,000 flights take off each day around the world and, last year, commercial aircraft carried nearly four billion passengers. This number is expected to double again in less than 20 years. So, the potential to make a difference here is clearly enormous. The test flights will help us trial the many substitute items we have developed and introduced them, in a real-world environment. “We know we may encounter some initial teething problems, but we are confident of addressing these over the coming months. Pedro Ramos, the Director-General of Tour operator Alto Astral, the company who chartered the flights between Lisbon and Brazil, spoke of his company’s delight at being a participant in this key industry event. “Everyone at Alto Astral is excited to be involved in this adventure and we believe that future generations will thank those of us who have been prepared to stand up to try to make a difference now. “Hi Fly has long been the leader in the field of corporate environmental responsibility and sustainability, and they have rightly identified, as a key objective, the early elimination of plastics pollution. It’s been great for us to see how, in practical terms, they have gone about replacing so much in order to kick-start this elimination process. The plastics-free test flight is just the latest move by Hi Fly to make its entire fleet ‘plastics free’ by the end of 2019. Among the scores of single-use plastic items that have been replaced are: cups, spoons, salt and pepper shakers, sick bags, packaging for bedding, dishes, individual butter pots, soft drink bottles and toothbrushes. And among the many innovations presented to passengers on the flight, by the Hi Fly environmental experts, will be bamboo cutlery, an array of paper packaging, and containers that, once used, can be readily composted. Washington D.C., June 25, 2018: A series of NASA flight tests has successfully demonstrated technologies that achieve a significant reduction in the noise generated by aircraft and heard by communities near airports. The Acoustic Research Measurement (ARM) flights, which concluded in May, at NASA’s Armstrong Flight Research Center in California, tested technology to address airframe noise, or noise that is produced by non-propulsive parts of the aircraft, during landing. The flights successfully combined several technologies to achieve a greater than 70 percent reduction in airframe noise. While porous concepts for landing gear fairings have been studied before, NASA’s design was based on extensive computer simulations to produce the maximum amount of noise reduction without the penalty of increasing aerodynamic drag. The landing gear cavity was treated with a series of chevrons near its leading edge, and a net stretched across the opening to alter airflow, aligning it more with the wing. “The number one public complaint the Federal Aviation Administration receives is about aircraft noise,” said Mehdi Khorrami, an aerospace scientist at NASA’s Langley Research Center in Virginia, and principal investigator for Acoustic Research Measurement. “NASA’s goal here was to reduce aircraft noise substantially in order to improve the quality of life for communities near airports. We are very confident that with the tested technologies we can substantially reduce total aircraft noise, and that could really make a lot of flights much quieter.” NASA tested several experimental designs on various airframe components of a Gulfstream GIII research aircraft at Armstrong, including landing gear fairings and cavity treatments designed and developed at Langley, as well as the Adaptive Compliant Trailing Edge (ACTE) wing flap, which had previously been flight-tested to study aerodynamic efficiency. The aircraft flew at an altitude of 350 feet, over an 185-sensor microphone array deployed on the Rogers Dry Lake at Edwards Air Force Base in California. The Landing Gear Noise Reduction technology element addressed airframe noise caused by airflow moving past the landing gear on approach. The experimental landing gear tested by NASA features fairings that are porous along their front, meaning they consist of many tiny holes that, in part, allow some of the air to flow through the fairing, while also deflecting some of the airflow around the landing gear. While porous concepts for landing gear fairings have been studied before, NASA’s design was based on extensive computer simulations to produce the maximum amount of noise reduction without the penalty of increasing aerodynamic drag. The landing gear cavity was treated with a series of chevrons near its leading edge, and a net stretched across the opening to alter airflow, aligning it more with the wing. SAN JOSE, Calif., June 20, 2018 /PRNewswire/ — SunPower (NASDAQ:SPWR), one of the world’s most innovative and sustainable energy companies headquartered in California’s Silicon Valley, has joined the Mission SolarStratos expedition as the exclusive solar cell provider for its aircraft. Within the next two years, SolarStratos is expected to be the first solar-powered plane to soar above the Earth’s troposphere and into the stratosphere – flying twice as high as a commercial airliner’s typical cruising altitude – without a drop of fossil fuel. A passionate, award-winning adventurer with experience bringing record-breaking projects to fruition, Domjan was the founder and the expedition leader of PlanetSolar – also powered by SunPower solar technology – which became the first boat to sail around the world on solar energy alone in 2012. This September, Domjan will attempt his first world-record flight, reaching 33,000 feet in a SolarStratos prototype plane. SunPower® Maxeon® solar cells were selected for SolarStratos aircrafts because they are highly efficient, durable, lightweight, and about as thin as a human hair. On the next generation SolarStratos plane, SunPower’s 24-percent efficient cells will be incorporated into the wings and horizontal stabilizer to power an electrical engine and charge a 20-kilowatt hour (kWh) lithium-ion battery for energy supply when the sun is out of sight. In addition to supporting SolarStratos and the solar boat PlanetSolar, SunPower has a pioneering legacy of powering unique solar projects. In 1993, SunPower’s high-efficiency solar cells drove a Honda solar car to win the World Solar Challenge from Darwin to Adelaide in Australia a full day ahead of the second-place finisher. The company also worked with NASA to develop the unmanned Helios solar plane that flew to a record altitude of 96,863 feet, also powered by SunPower high-efficiency solar cells. Most recently, SunPower helped Solar Impulse 2 – a single-seater solar plane – complete its groundbreaking flight around the world with zero fuel, the first for an aircraft of its kind. This press release contains “forward-looking statements” within the meaning of the Private Securities Litigation Reform Act of 1995, including, but not limited to, statements regarding projected energy output, product performance and efficiency, and project plans and timeline. These forward-looking statements are based on our current assumptions, expectations, and beliefs and involve substantial risks and uncertainties that may cause results, performance, or achievement to materially differ from those expressed or implied by these forward-looking statements. Factors that could cause or contribute to such differences include, but are not limited to: regulatory changes and the availability of economic incentives promoting use of solar energy, competition and market conditions in the solar and general energy industry, and fluctuations or declines in the performance of our solar panels and other products and solutions. A detailed discussion of these factors and other risks that affect our business is included in filings we make with the Securities and Exchange Commission (SEC) from time to time, including our most recent reports on Forms 10-K and 10-Q, particularly under the heading “Risk Factors.” A copy of this filing is available online from the SEC or on the SEC Filings section of our Investor Relations website at investors.sunpowercorp.com. All forward-looking statements in this press release are based on information currently available to us, and we assume no obligation to update these forward-looking statements in light of new information or future events. © 2018 SunPower Corporation. All Rights Reserved. SUNPOWER, the SUNPOWER logo and MAXEON are registered trademarks of SunPower Corporation in the U.S. and other countries as well. All other trademarks and logos are properties of their respective owners. EmbraerX, an Embraer organization dedicated to developing disruptive businesses, today unveiled its first electrical Vertical Take-Off and Landing (eVTOL) aircraft concept. The unveiling was made during Uber Elevate 2018, in Los Angeles, California. Embraer X’s first eVTOL concept unveiled today is the outcome of extensive interaction with potential urban air travelers about their desired experience, combined with the expertise of Embraer’s teams and the collaboration with various companies and institutions. Embraer X will continue to engage with communities to expedite the development of desired solutions for this new market. Over the last five decades, Embraer has designed, developed and certified close to 50 aircraft models, delivering over 8,000 aircraft to 100 countries. Embraer’s fleet has accumulated more than 50 million flight hours. Leveraging Embraer’s experience and longstanding relationships with aircraft certification authorities around the globe, EmbraerX will ensure that safety design drivers meet and exceed the highest industry standards. “Aviation is of key importance for Norway and the industry must take its share of responsibility to reduce greenhouse gas emissions. Sustainable jet biofuel will play an important role and we are facing the electrification of aviation. We want to bring together the communities working on these issues, with an aim of sharing expertise and insights for the road forward,” says CEO of Avinor, Dag Falk-Petersen. “Currently very little sustainable jet biofuel is produced globally, and what little there is has a price that is not competitive. 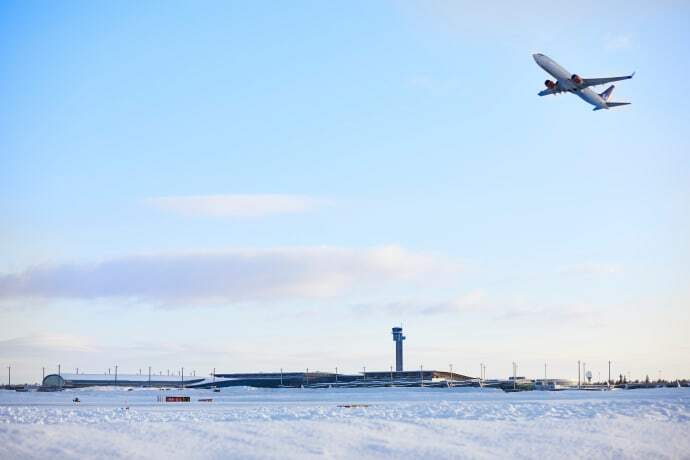 To achieve the target of a 30 per cent drop in and corresponding emission reductions, there will therefore be a need for public instruments,” says Torbjørn Lothe, Managing Director of the Federation of Norwegian Aviation Industries (NHO Luftfart). “Just a short time ago electric aircraft were unimaginable. Now a number of major players are claiming that in only a few years they will be able to provide aircraft with electric solutions for domestic scheduled traffic in Norway. In order to bring up the volume of emission reductions from aviation, we also need to see a quick phasing in of sustainable jet biofuel. This will allow Norway to lead the way and show how we can realign aviation,” says Marius Holm, head of ZERO. Toronto, Ontario, February 9, 2018, Drone Delivery Canada ‘DDC or the Company’ (TSX.V:FLT OTC:TAKOF), is pleased to announce that Transport Canada has granted the Company a Compliant UAV Operator Special Flight Operations Certificate (SFOC). Source: Drone Delivery Canada Corp.
Renton (Seattle), Wash., Feb. 5, 2018: Boeing marked another airplane development milestone today as thousands of employees celebrated the debut of the first 737 MAX 7 at the company’s Renton factory. The 737 MAX is the fastest-selling airplane in Boeing history, accumulating more than 4,300 orders from 92 customers worldwide. For more information and feature content, visit www.boeing.com/commercial/737max. Vahana, the all electric, self-piloted, VTOL aircraft from A³ by Airbus, today announced the successful completion of its first full-scale flight test, reaching a height of 5 meters (16 feet) before descending safely. The test was completed at 8:52AM Pacific on January 31, 2018 at the Pendleton UAS Range in Pendleton, Oregon. Its first flight, with a duration of 53 seconds, was fully self-piloted and the vehicle completed a second flight the following day. Vahana is a project developed at A³, the Silicon Valley outpost of Airbus. A³ enables access to unique talent and ideas, new partnership opportunities, and execution at speed. Vahana aims to democratize personal flight and answer the growing need for urban mobility by leveraging the latest technologies in electric propulsion, energy storage, and machine vision. Vahana leverages its self-piloted capabilities to operate without a passenger. Following these successful hover flights, the team will turn to additional testing, including transitions and forward flight. Founded in May 2015, A³ (“A-cubed”) is the advanced projects outpost of Airbus in Silicon Valley. A³ focuses on projects centered around three traits: speed, transparency and a commitment to culminating in productizable demonstrators or demonstrators at convincing scale. To learn more, please visit www.airbus-sv.com and connect with us on Twitter and LinkedIn. Project Vahana is a vehicle project focusing on advancing self-piloted, electric VTOL flight. It is being developed at A³, the advanced projects outpost of Airbus in Silicon Valley. For more information, please visit vahana.aero and follow us on Twitter.